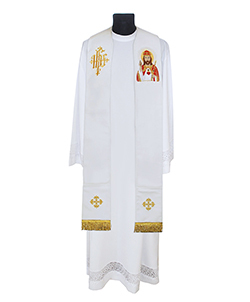 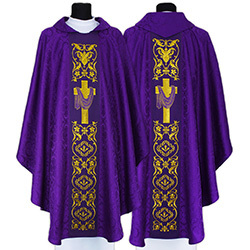 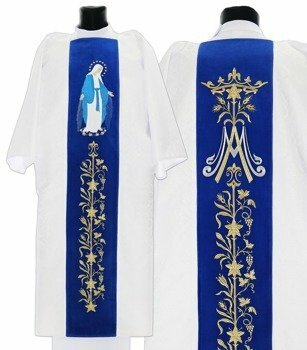 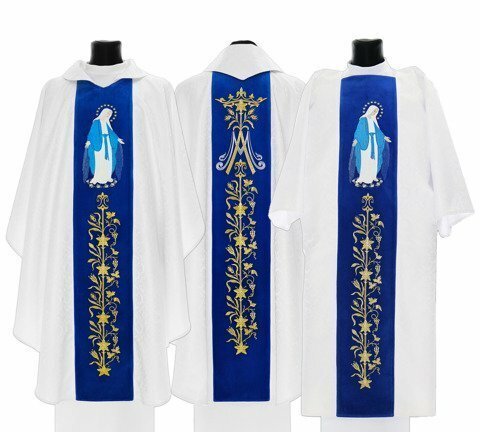 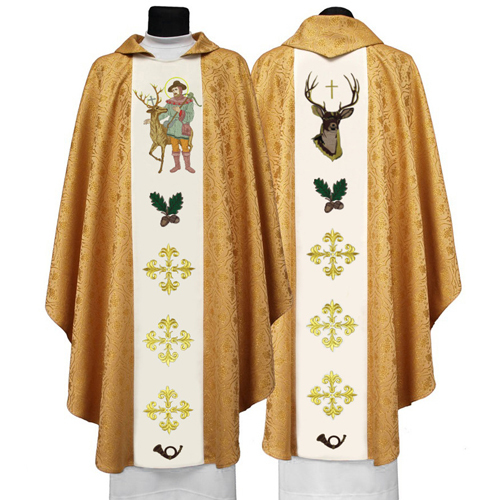 Set include: Gothic dalmatic and matching deacon stole. Precisely made of beautiful damask fabric. Decorated of high quality embroidery made on blue velvet. 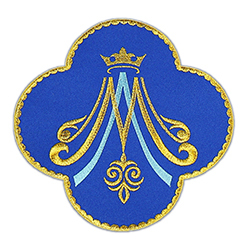 Embroidery made of gold thread. 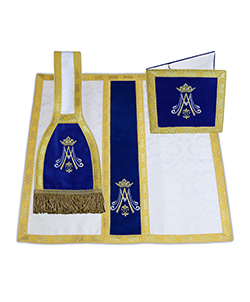 Altar Cloth is beautiful, well crafted, and a great purchase at Ackermann's prices. 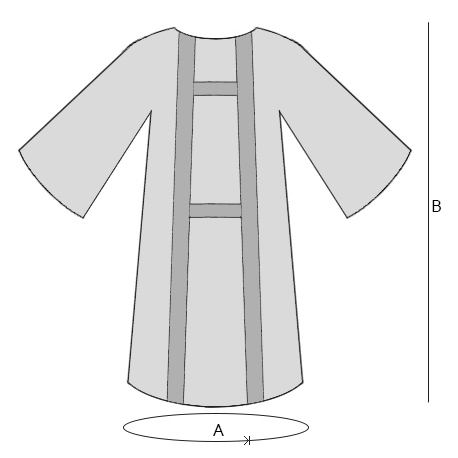 The Emboidered side is done well, no pulls and consistent pattern. 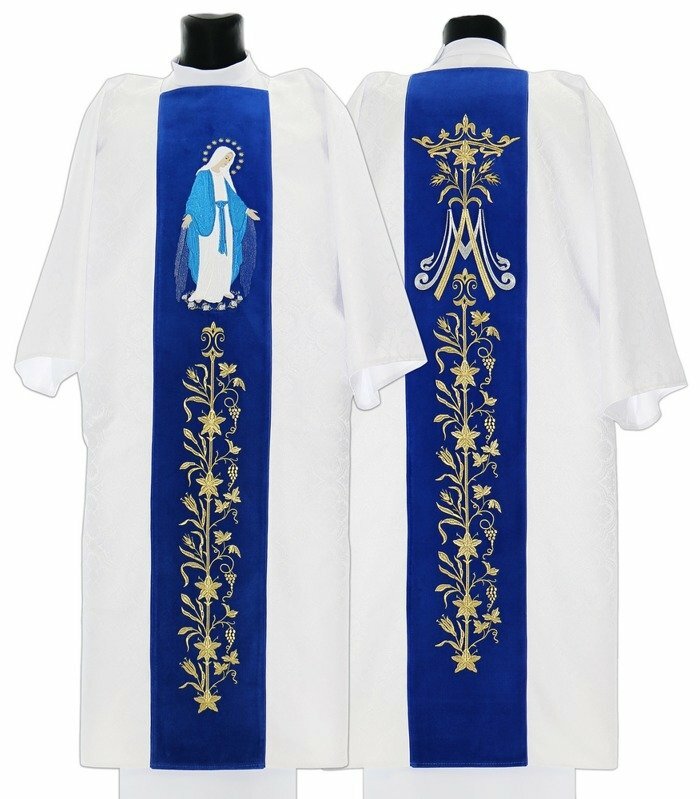 The non-embroidered sides are hemmed with a simple 1 cm strip. 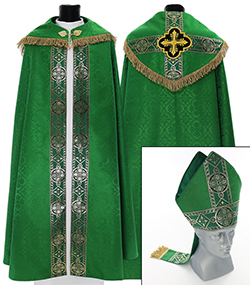 It gives the overall cloth a finished, clean look. 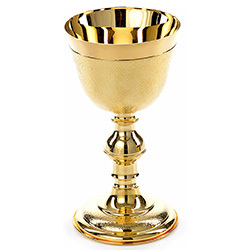 I would purchase again.